The ancient practice of yoga was first introduced to the Western world in the 19th century by Indian monk Swami Vivekananda. It gained traction in the U.S. in the 1980s and today it’s one of the most popular fitness regimens with countless variations to choose from. At its core, yoga is a series of postures that one moves through to promote strength, flexibility, balance and alignment. Its focus on breathing and circulation have detoxifying benefits to the body’s vital organs, and classes can be meditative in nature. The spiritual aspects vary dramatically depending on the studio, teacher and style of yoga you practice. If you’re just getting started with yoga, it’s a good idea to sample a variety of classes to find what suits you best. Vinyasa Flow, Power Yoga and Bikram offer athletic, aerobic classes that burn calories and build strength and flexibility. 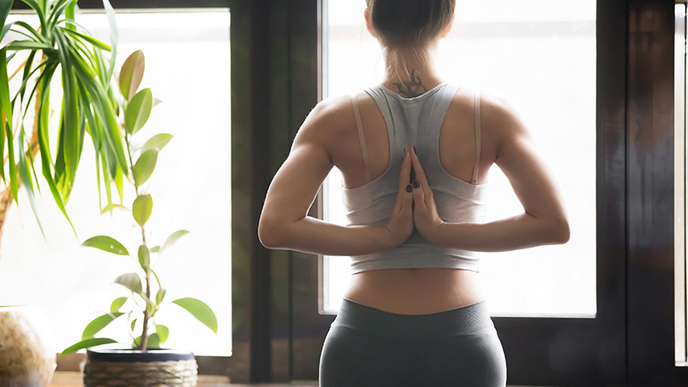 Vinyasa Flow and Power Yoga typically involve a faster-paced class where you “flow” between poses centered around the Sun Salutation series without holding them for very long. They’re offered at varying levels with more advanced classes featuring more difficult postures. Bikram is a set sequence of 26 Hatha poses and two breathing exercises in a room heated to 105 degrees. Each pose is repeated twice throughout the 90-minute series, starting with standing poses and finishing with seated poses. With an emphasis on sweat and circulation, Bikram has particularly detoxifying benefits as it moves oxygenated blood systematically throughout your entire body. For those recovering from injury or dealing with chronic pain, Kundalini, Gentle and Restorative yoga are beneficial. These practices often involve holding poses for longer durations in a slower paced class. The emphasis is on alignment, and props, like bolsters, blocks and blankets, are often used to facilitate certain postures. Yogis refer to the class as a practice because everyone is on their own journey day after day. It’s an exercise designed to bring awareness not only to your physical body but also to your peace of mind. Namaste.